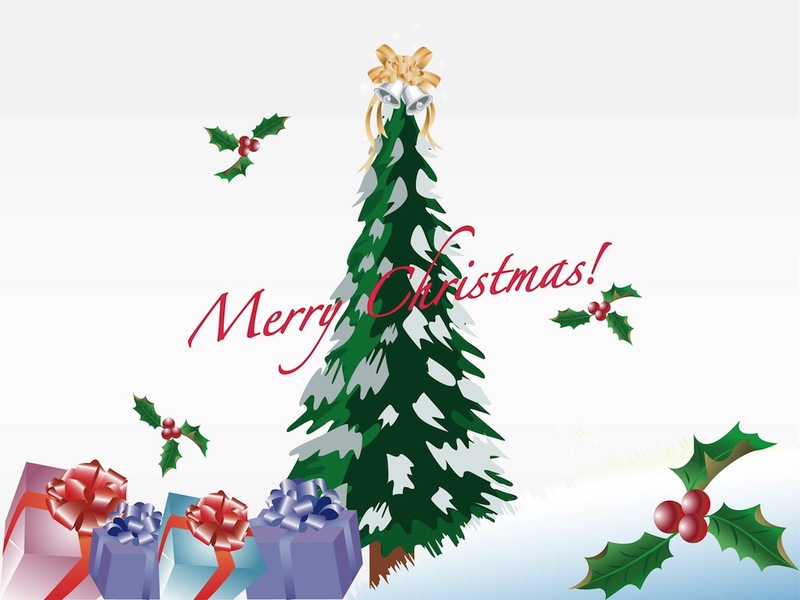 Classic Christmas greeting card template with a big festive tree in the center. Snow on the branches of the tree and decorative bells on top of the pine tree. Mistletoe branches with shiny round fruits, pile of snow and present boxes with shiny ribbons. Free vector image for all winter holidays and greeting card designs. Tags: Festive, Greeting Card, Holiday, Presents, Snow, Tree, Winter, Xmas.